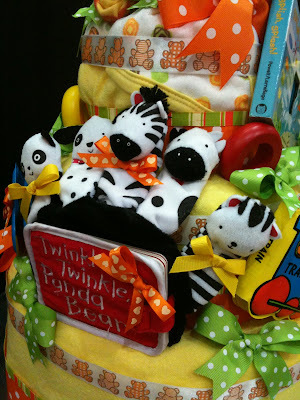 Since this one is for a 1 year old I wasn't too sure what clothes size to include so instead I decided not to put more toys and book in it. 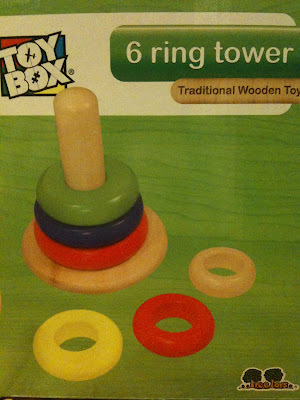 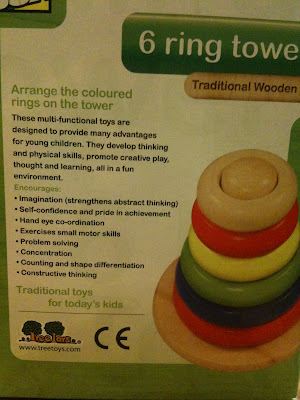 One toy which I've hidden inside is a six ring tower. 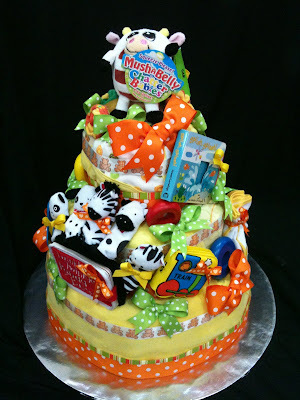 Perfect for a 1 year old..! 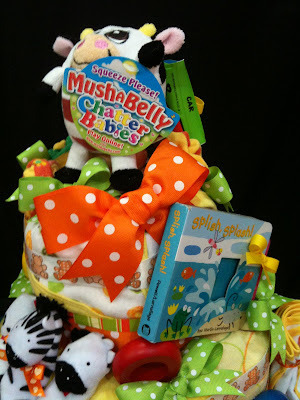 This is a puppet book.. 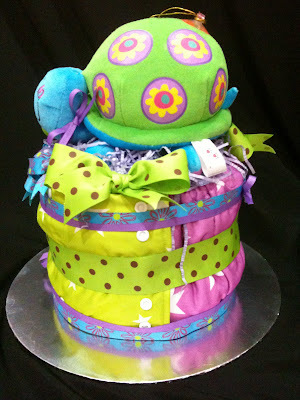 I found this pretty cool..! And red, black and white is very good for babies. 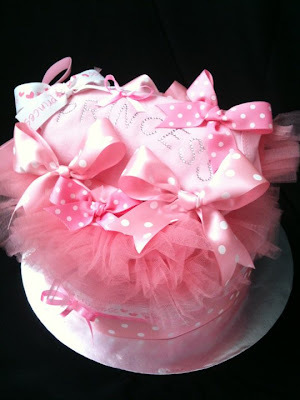 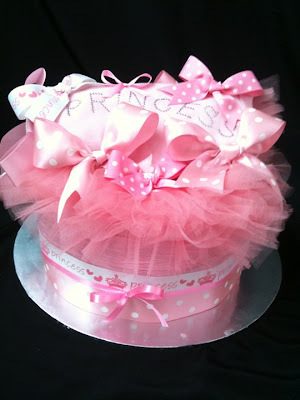 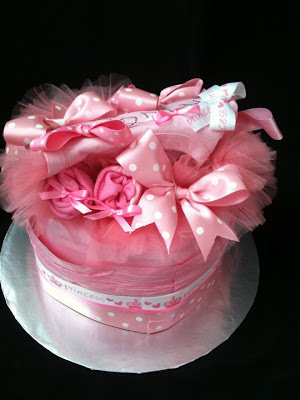 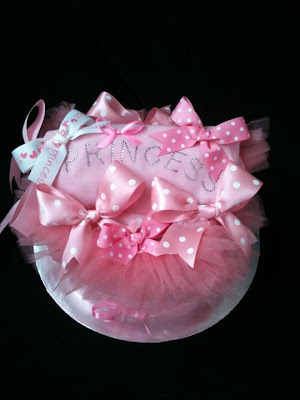 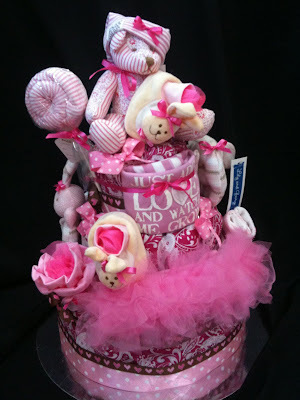 Y'all know I love pink right..... so this cake I was extra thrilled to make. This is a ballerina onesie ...PRINCESS..!! 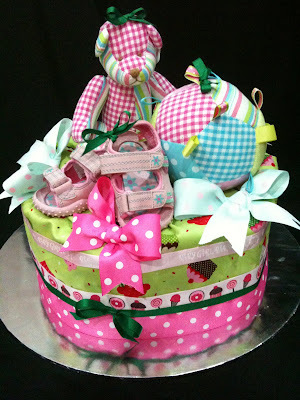 This is also another special cake, all because it's MOTHER'S DAY this weekend, and this cake contains a 'Nursing Cover' for the mommies to wear while breastfeeding. 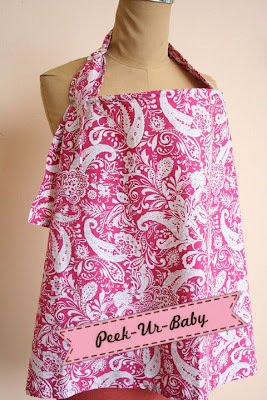 Nursing covers are a great invention, they literally solve baby nursing issues when you are out in public. 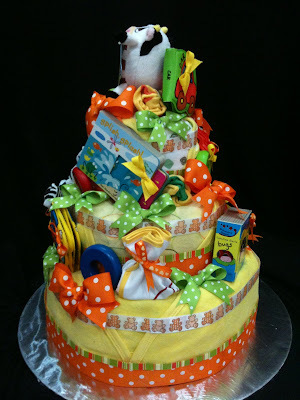 This cake contains the above nursing cover design. LOVE IT! 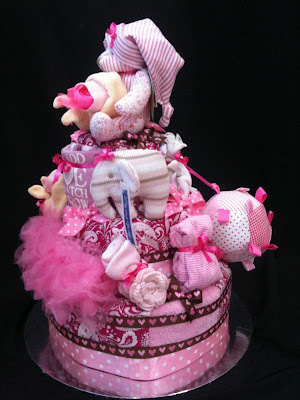 The nursing covers that I will be using for my cakes all come from 'Peekurbaby'. 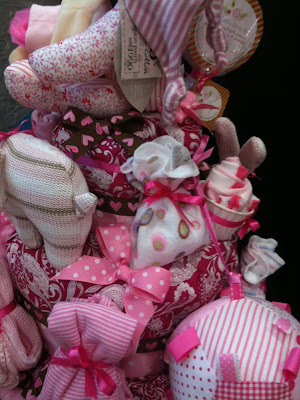 It is a local brand and growing in popularity. 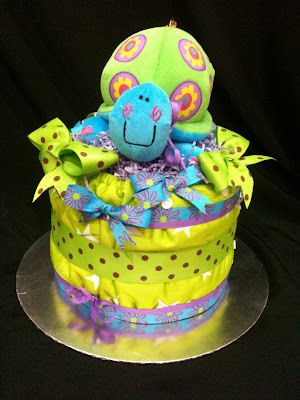 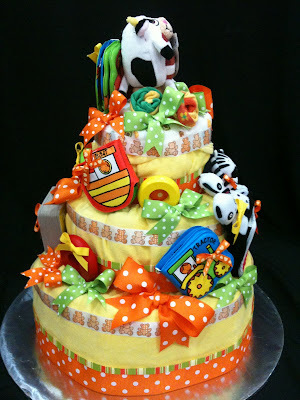 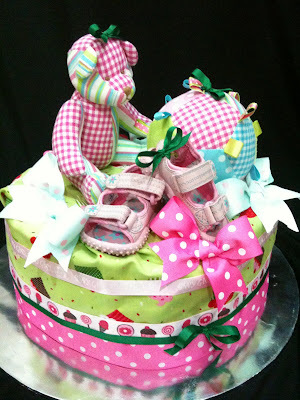 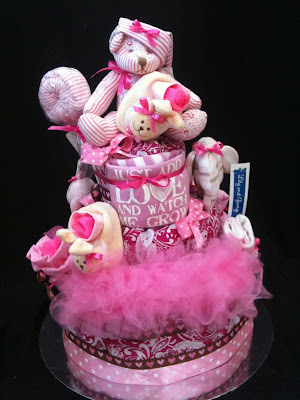 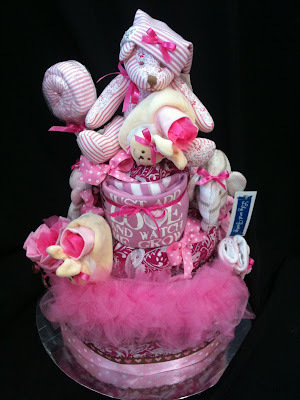 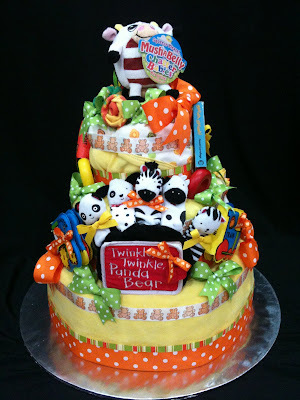 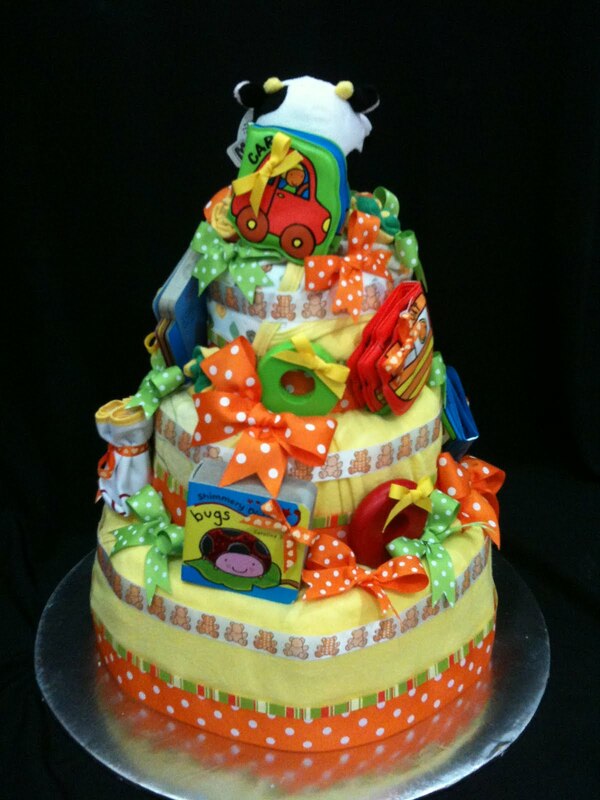 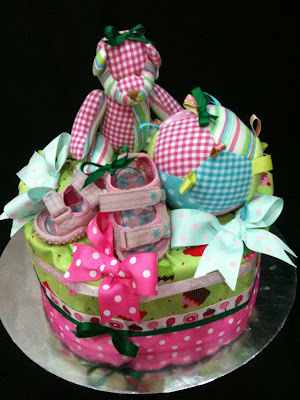 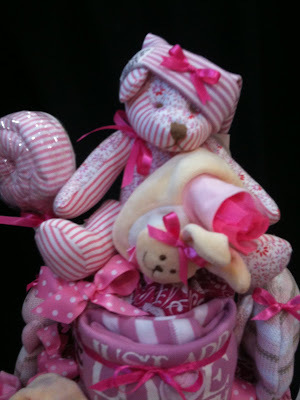 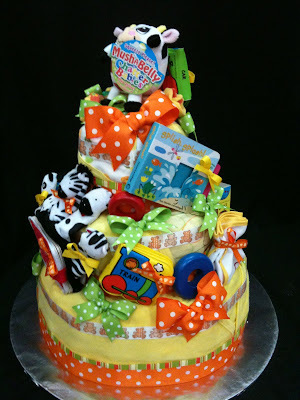 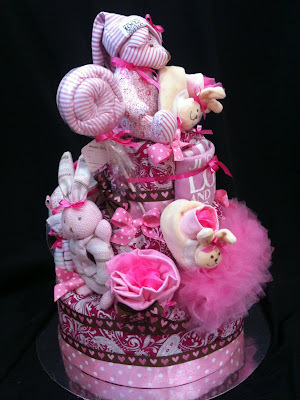 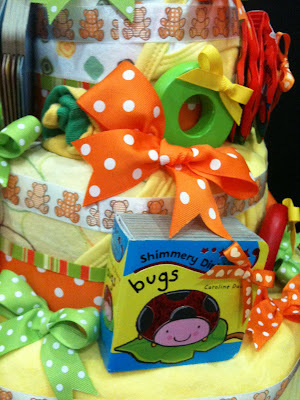 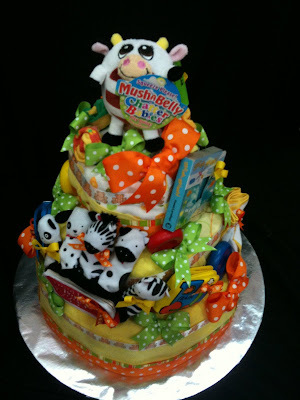 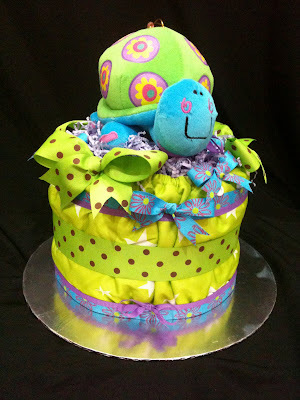 This cake is the first CLOTH DIAPER cake that I've put together. 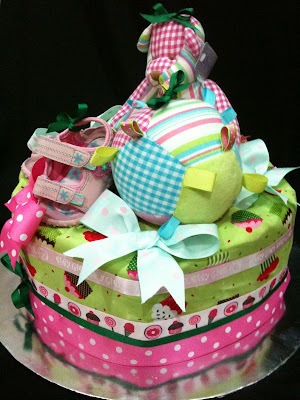 Did it as an experiment and I find it really does make a lovely gift. 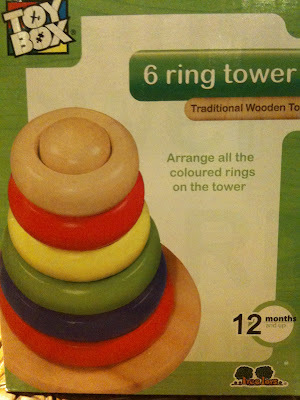 They come in all colours and many various patterns. Best of all it lasts throughout their baby years through to their toddler years. 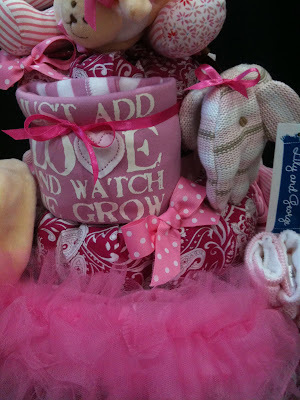 In the long run you do save quite a bit than if you were using disposable diapers. 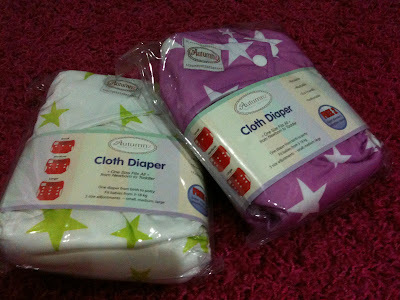 The brand of cloth diapers I use are Autumnz because it's easily attainable here and it comes highly recommended by mothers who are currently using it.